Of all the cities in Europe, Barcelona, Spain is arguably one of my favorites. The plazas and cobblestone streets, amazing food, stunning architecture and more combine to create an ever evolving eclectic masterpiece that keeps me coming back for more. It’s also home to one of my favorite boutique luxury hotels, The Serras Hotel. If you’re an art history buff like me, you’ll fall in love with The Serras at first sight. 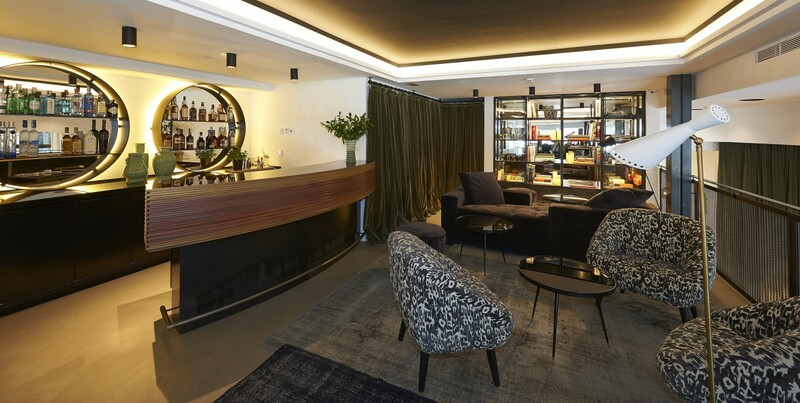 This sleek 28-room boutique hotel is built on the site of Picasso’s first studio on the tree-lined Passeig de Colon. A nod to Barcelona’s Art Nouveau heritage, the exterior was created by Francesc Daniel Molina, who designed the iconic Placa Reial, and the entire townhouse boasts features like black and white motifs with flourishes of modernisme design and Art Deco glamour. The guest rooms at The Serras are luxe and modern in design with serene views, rowboat bath tubs, rain showers, toiletries and scented candles by Malin+Goetz, and Hypnos beds, which were voted the most comfortable in the world in 2014. Despite being in the middle of a bustling city, on the rooftop you’ll find stunning views over the marina at Port Vell and the Mediterranean, as well as a relaxing pool perfect for soaking up some sun and noshing on light meals and cocktails. For the foodies or those just looking for a chill vibe, The Serras has what you need. Michelin-starred chef Marc Gascon’s restaurant Informal serves up Catalan specialties like patatas bravas and chocolate and toffee semi freddo from the grill and open kitchen. After dinner head to the mezzanine bar Le Nine for a relaxed atmosphere and a glass of Cava. To top it all off, The Serras is located near shopping, the beach, energetic nightlife, major tourist attractions and more. With all this, it’s easy to see why The Serras Hotel is the stuff this hotel lover dreams of. Nice post. I favor boutique hotels as well. I like your niche. I was just in Barcelona as well in May. I stayed at the 10 year old Hotel Cram in the L’Exiample neighborhood. I have 2 post one on my Solo Roamer blog (I left that link in the group’s FB thread). I also wrote a separate post about my culinary travels during that week on my Feeding Off The Rails blog.